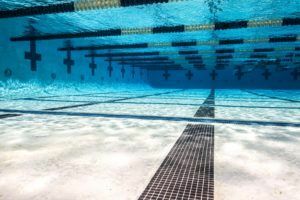 The 2016 Idaho High School State Championship meet was held last weekend, and Boise High School swept the overall titles. 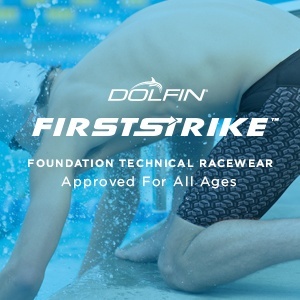 Idaho high school swimming, which is not sponsored by the same athletics association that sponsors most of the state’s high school athletics, has 5 divisions of schools. All 5 divisions compete together for event titles and to be recognized as the overall champion. The schools are also recognized as champions of three different groupings – one for 5A (the state’s biggest schools); one for 4A (the next-biggest group); and one for 3A/2A/1A combined (the state’s smallest schools). 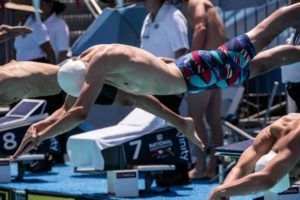 The Boise boys took the state to task early with wins in the first two events of the championship. That began in the 200 medley relay, which they won in 1:40.64. Coeur D’Alene (1:41.30) and Hillcrest (1:41.31) were both less than a second behind. Racing on a quick turnaround from that relay, Boise junior Luke Yost not only won the 200 free, but in 1:40.98 took half-a-second off of the state record. The old mark had stood at 1:41.42 since Ethan Griffel set it in 2009. Yost would have a hand in all 4 of the Boise boys’ event wins. He’d later win the 500 free in 4:39.48, an over 13-second margin of victory ahead of runner-up Ian Clifford from Meridian. Boise ended the day by dominating the boys’ 400 free relay, swimming 3:13.58 to place more than 7 seconds ahead of the rest of the field. They were led off once again by the junior Yost in a 46.69 split. Aside from Yost, Thomas Roark from Bishop Kelly was the only other individual double winner. 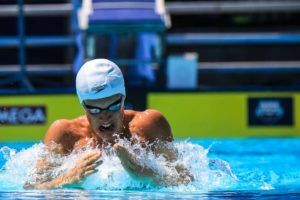 First he won the boys’ 50 free in 20.96, and he followed that up with a 46.24 in the 100 free. Cy Jager of Mosscow High School won the boys’ 200 IM by almost 3 seconds, finishing in 1:53.73. That’s a second-and-a-half improvement on his lifetime best done at last year’s meet. Meridian senior Andrew Clifford won the boys’ 100 fly in 51.22. 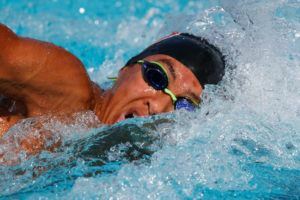 Jackson Cunningham of Mountain View High School won the boys’ 100 back in 52.97. He led narrowly over Gabe Markowski at the 50, but blew the race wide open by very-nearly evenly-splitting the race 26.27/26.70. The 100 breast was the last individual race of the meet and was won by another junior, Cole Curtis, in 59.82. His was a come-from-behind victory over senior Sebastian Chao, who led the field halfway but ultimately fell to a 59.87. The Boise High girls were even more dominant than their boys’ team was, including a sweep of all three relay titles. They kicked things off with a new State Record in the 200 medley relay, where Sydney Walker, Sammie Eyolfson, Abbey Erwin, and Isabel Swafford combined for a 1:46.83. They broke the old state, and school, record of 1:47.23. That relay is made up of 3 juniors and 1 senior, with the latter being Erwin. She ended her high school career with a bang, winning two individual events to go with two relay golds. 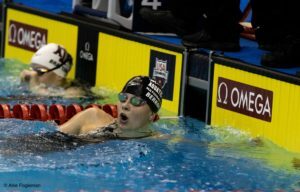 In the 100 fly, she swam a 56.95, and she came back not long later with a 4:56.67 in the 500 free. She was the only swimmer under 5 minutes in the 500 – the next closest was her sister, Boise sophomore Maggie Erwin, in 5:01.34. The sisters teamed up to book-end the meet closing 400 free relay to finish off the victory. The team finished 5 seconds ahead of the crowd in 3:35.11. In between, Boise broke another relay state record, swimming a 1:38.92 with a team of Isabel Swafford, Maggie Erwin, Annie Bartolome, and Sammie Eyolfson. Runners’ up Rocky Mountain High School also were well under the old state record in 1:40.14. Eva Suggs won the 200 free in 1:53.04. Charity Pittard from Rocky Mountain High topped the 200 IM in 2:04.00 – winning by more than 4 seconds. Isabella Rhodes from the small school champions Calvary Chapel won the 50 free in 23.59 – breaking a 6-year old State Record previously held by Kijrsten Magnuson. Junior Sol Jorunnardottir won the girls’ 100 free in 51.87 by the narrowest margin possible – .01 seconds – over the aforementioned Rhodes. Rhodes opened up with another fast 50, but Jorunnardottir made up a half-second deficit on the back-half of the race to win. Emily Dietz won the 100 back in 58.71. 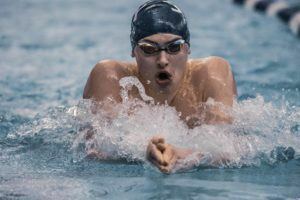 Boise’s Eyolfson, who had a hand in two of their relay wins, won an individual event as well with a 1:03.99 in the 100 breaststroke – another State Record. 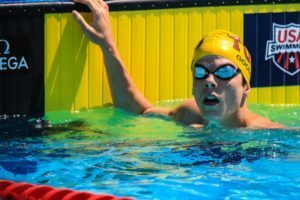 Jackson Cunningham of Mountain View High School won the boys’ 100 free 52.97.